As a native New Yorker, my first escape to the rockies changed my life. It was the first time that I truly appreciated the grandeur of the natural world and the scale of life. Now I make the journey several times a year and this film is a result of an immense passion for Colorado’s scenery, wildlife, and the efforts of thousands to preserve this land for generations. 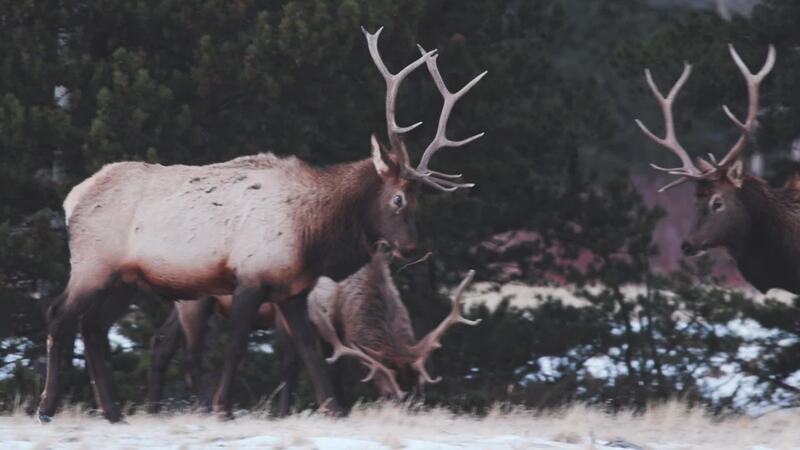 Rocky Mountain National park offers breathtaking views of the spectacular Rocky Mountain range, with 60 peaks over 12,000 feet, small permanent glaciers, lakes, waterfalls, and historic and cultural treasures including ancient trails, game drives, cattle ranches and lodges. This park’s rugged landscapes harbor hundreds of high-elevation plant and animal species — some that are increasingly rare outside the park or are found nowhere else. Some of the park’s human-made structures speak to the boom-and-bust cycles and neverending search for adequate water supplies that characterized the nation’s westward expansion. 7-27-18. I was hiking to Cub Lake, in the Moraine Park area of RMNP, and came upon this little moose family. What a treat to see the kiddos running around playing!